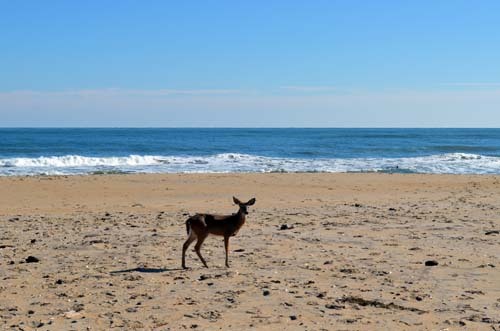 After visiting the mountains of North Carolina, we decided to take in some coastal time. 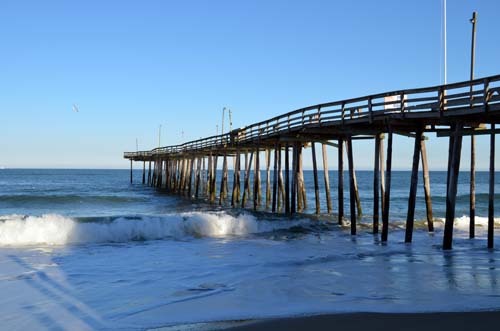 Located on the outer banks of North Carolina, Nags Head got its name from mules or horses (nags) that would have lights hung around their heads in order to trick ships into running aground so that local pirates could loot the valuables. 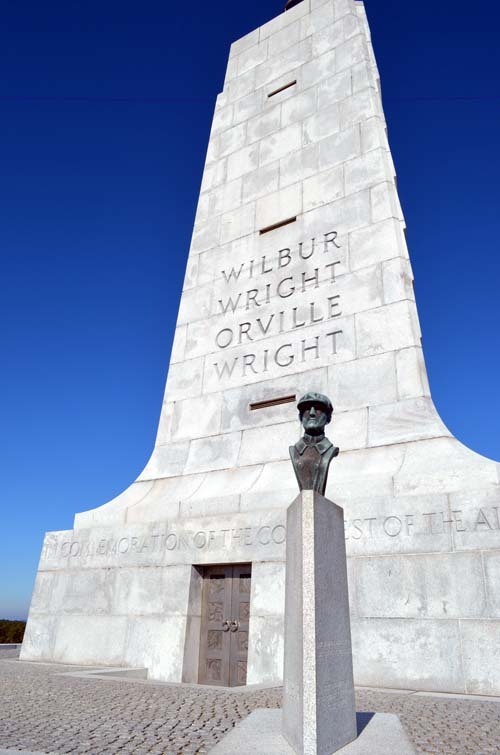 In addition to the beaches, one of the biggest draws to this area is Kitty Hawk, the birthplace of flight. 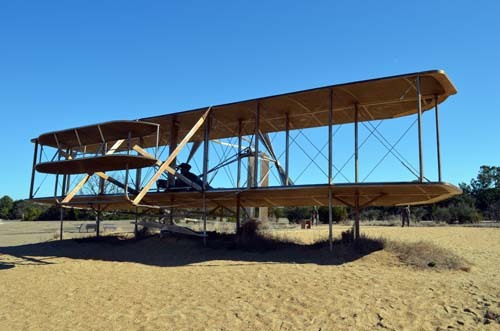 After studying the flight of turkey buzzards, Wilbur and Orville Wright implemented wing warping (the ability to control the wings up and down by leaning) and this enabled their aircraft to take flight while all other attempts had failed. 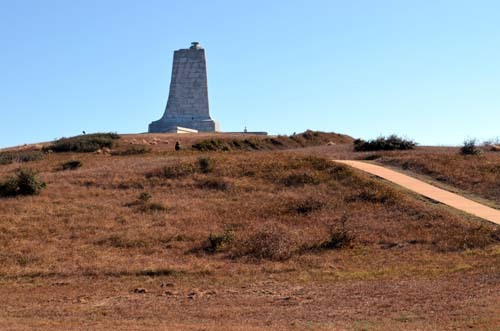 On the dunes of Kill Devil Hills, the Wright brothers took flight on December 17, 1903, paving the way for present day aviation. 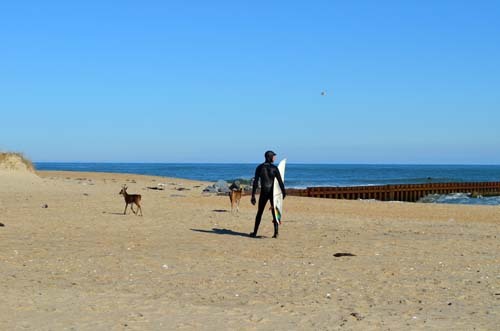 Located a short distance south of Nags Head is Cape Hatteras. 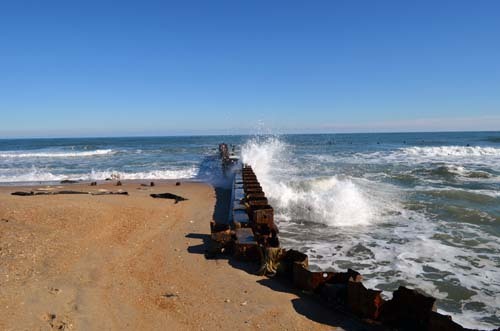 Cape Hatteras is a bend in Hatteras Island, one of the long thin barrier islands that make up the Outer Banks of North Carolina. 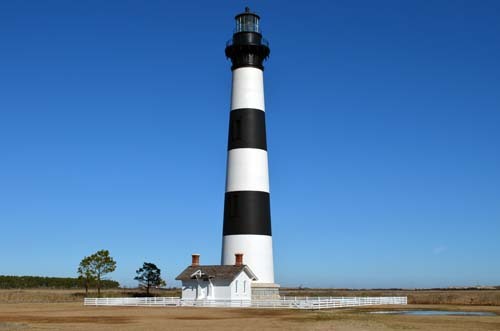 The Cape Hatteras Lighthouse attracts a large number of visitors each year. 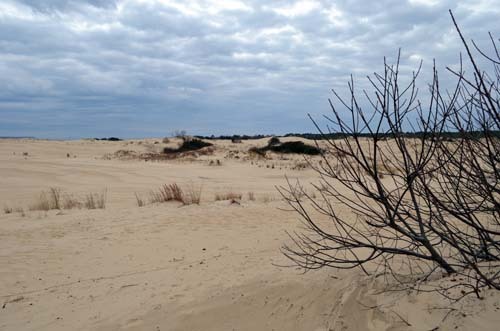 On the way to the lighthouse, we encountered another lighthouse, the Bodie Island Lighthouse. It was impressive as well. 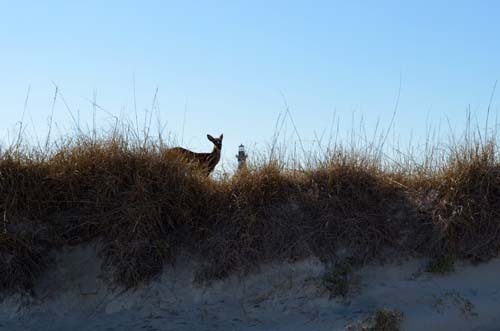 When we visited the lighthouse, there were deer on the beach next to the lighthouse. 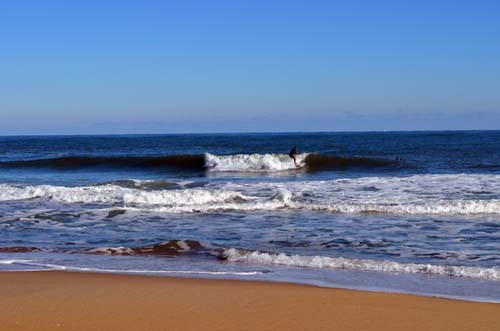 There were also surfers everywhere. As we always do, we seek out local craft breweries. 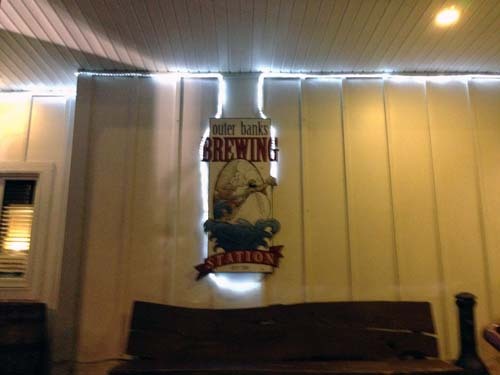 In Nags Head, we found Outer Banks Brewery. 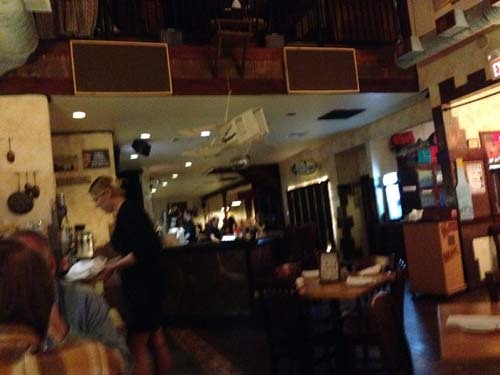 Their Hefeweizen was pretty good. 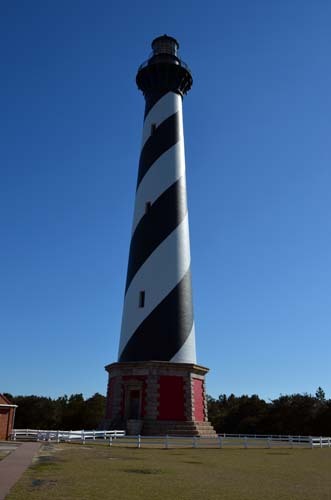 This entry was posted in Early Retirement, North Carolina, Our Travels, Travels to USA and tagged bodie island lighthouse, cape hatteras, cape hatteras lighthouse, deer on the beach, first in flight, kill devil hills, nags head, north carolina, outer banks brewery, outer banks north carolina, wright brothers on March 1, 2015 by smiller257.